Keeping in with the natural rhythm of things, Nintendo has released yet another quirky, off-beat, mini-game filled casual title just in time for the Wii. Why all these poorly constructed music-based references you ask? Well firstly because Beat the Beat: Rhythm Paradise is all about maintaining your rhythm throughout 50 mini-games, and secondly because the only thing worse than my rhythm is my sense of humor. That being said, Beat the Beat: Rhythm Paradise is a fun, creative and interesting title worth checking out. Think WarioWare meets a more casual Guitar Hero. That’s the best way I can describe Beat the Beat: Rhythm Paradise and that still doesn’t come close. 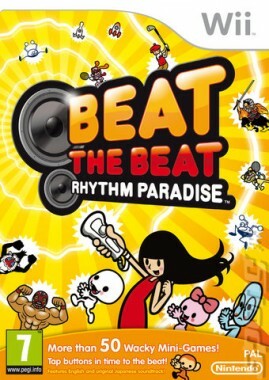 Beat the Beat: Rhythm Paradise takes players through over fifty bizarre mini-games that require the player to maintain rhythm using the A and B buttons. No control sticks, motion swipes, just simply two buttons. Think that’s easy? Guess again. These levels are filled with challenges from testing see-saws with superhuman jumps, playing tambourine with a monkey, interviewing wrestlers to playing badminton mid-flight….all by pressing buttons in sync to a song. Once you’ve mastered four of these levels your then expected overcome a remix of those four songs by taking on all four scenarios to generate one track. Your actions generate the sound effects that contribute to completing the song, so timing is essential. Thankfully, visual cues are there to help you, but these are also often obstructed by objects so maintaing rhythm. It should be noted that unlike most music-based games, Beat the Beat: Rhythm Paradise doesn’t want you to look for visual clues, but instead to feel the rhythm and react exactly on the beat. This is sure to make the game extra challenging for those familiar with the concept. Yes this title is filled with difficult challenges, but there is plenty of help for those who lack rhythm. 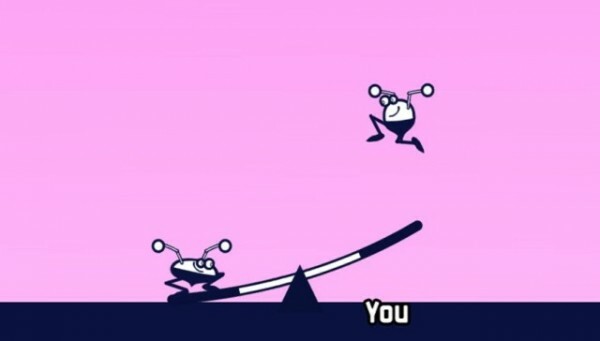 Before each game a tutorial is presented, and if that’s not enough a demo of how to 100% complete the level is displayed as well. Furthermore, a cafe is present that gives tips to players as well as the ability to skip levels that are too hard. For a game that can be really challenging for those with no rhythm at all, the game is also very forgiving without being too easy. Nothing ever seems impossible with all these options at hand, which provides a great balance in both the difficulty and the learning curb. Of coarse medals are present and other neat stuff to reward and unlock extra goodies throughout, some of which is the multiplayer which brings us to the game’s ultimate flaw. 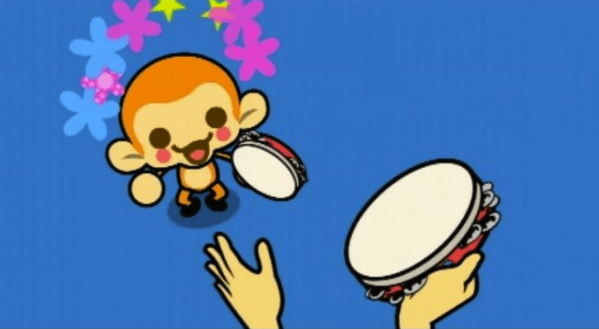 As a game that is essentially nothing but simple mini-games you’d expect to share the experience with your family and friends but on the most part Beat the Beat: Rhythm Paradise is a single-player experience. When multiplayer is available, it must be unlocked and is only accable for select titles and is only for two players. It is true that these games would be ruined by making them for 4 players, but by restricting it to only 2 the game feels like it’s missing something. 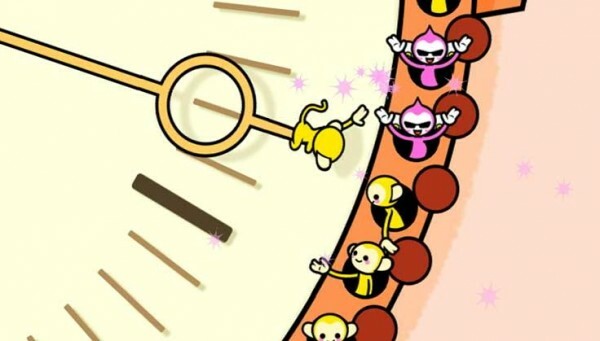 Beat the Beat: Rhythm Paradise may be fun but it’s still a lonely experience. Furthermore, this experience can also be a short and while the presentation of each mini-game is generally creative and refreshing your still doing the same thing and that can get repetitive. One aspect that Beat the Beat: Rhythm Paradise that truly excels at is presentation. From the in-game graphics to the menus, everything is bright and bursting with colour. The art design couldn’t get any cuter even if they tried and the animation is equally as beautiful. The audio is equally as impressive, filled with catchy tunes with both Japanese and English soundtracks available for play straight from the get go. The sound effects intwine with the music as well, so what you do actually helps make the song. 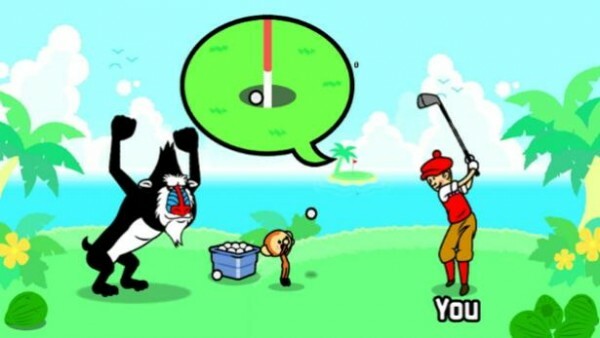 A perfect example of this is the game ‘Double Date’ where a ball is kicked which actually becomes the song’s snare. It’s a very creative element for a music-based video game and must be commended. Beat the Beat: Rhythm Paradise is probably one of, if not the most unique music-based video game you’ll ever play. Filled with creativity, adorable graphics, pick-up-and-play controls and a catchy soundtrack, these rhythm based mini-games can be a pretty entertaining and rewarding experience. This interesting approach to accuracy and feeling should be appreciated by fans of the music genre. Unfortunately the life span is a bit short and the multiplayer leaves much to be desired. Regardless, Beat the Beat: Rhythm Paradise is still a solid title and is definitely worth picking up if your a fan of music titles.